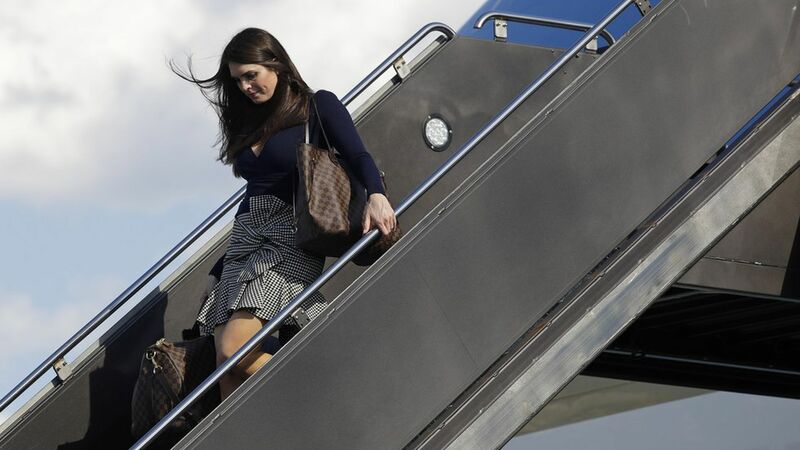 Hope Hicks is expected to take over the duties of the White House communications director on an interim basis, per a source familiar with the arrangements.The big picture: A lot of people think she is the only one who can do the job, and it shouldn't be ruled out that Hicks, who didn't actively seek the job, could last in the position on a more permanent basis.The dynamics at play, per multiple sources inside the White House and close to the president:The new regime: Under White House Chief of Staff John Kelly, there won't be much tolerance for separate press fiefdoms. Under the old regime, Hope was wholly separate from the press shop, serving in a first-among-equals role with extraordinary access to the president.Trump wants someone he knows in the job: Trump trusts Hicks to speak on his behalf in a way he'll never trust another member of the comms staff, viewing her almost as another daughter. Bringing in an outsider like Mike Dubke was a disaster, as the president never trusted him. What she learned on the trail: Hicks understands that Trump is the communications director, as the president is uniquely media focused. Unlike most presidents, Trump is in charge of his own messaging. How the White House feels about her: People who really know Hicks inside the White House say she is chronically underestimated due to her age and past career experience, but she gets Trump in a way others don't due to the experience of the grueling campaign.